In case you’re a battling property holder confronted with foreclosure, you’ll have to choose whether or not you need to hire a foreclosure attorney. If, for example, you have a defense to the foreclosure and wish to keep your home – you’ll require a foreclosure attorney to help you. However, if, for example, your main goal is to just to remain in the home through the foreclosure process or just to obtain some extra time before the bank finishes the foreclosure, you may want to do it yourself. You may not need to talk with a foreclosure attorney if your main goal is simply to live in the property throughout the foreclosure process. In New York, you won’t have to legally leave your home until you are evicted as a result of no longer being legal owner of the property. Accordingly, since you legally own your home up until the new owner buys it at the foreclosure sale and gets title to the property, you can remain in your home without any hassle. However, there may be some special circumstances where you can stay even longer. You’ll want to contact an experienced foreclosure attorney to find out your options in New York. If your main objective is to get a little more time to live in your home before the bank completes the foreclosure, you may be able to do so by reinstating your loan, obtaining a loan modification, or obtaining an alternative settlement (loss mitigation) arrangement, such a forbearance. To do so, you can submit a loss mitigation application to the servicer. Federal law prevents the servicer from foreclosing on a borrower while a complete loss mitigation application is pending. Accordingly, not only will applying for loss mitigation options generally give you some additional time, but the servicer might offer you a modification that lowers your monthly mortgage payment that makes your home more affordable. If this happens, you might decide to stay in the home. Even if the servicer denies your loss mitigation application, in general, you should be given some additional time to appeal the decision. You should be aware, however, that if the servicer already evaluated you for a loan modification or other loss mitigation option, you may not be able to submit another application just to stall the foreclosure. This depends on the servicer and investor behind your loan. However, under federal law, if you’ve brought your loan current at any time since submitting a complete loss mitigation application, and the servicer reviewed that application, the servicer must perform another review if you apply for loss mitigation again. If you need assistance in putting together and filling out a mitigation application, you can contact a HUD-approved housing counselor. They may provide free assistance. If you don’t have a valid defense to the foreclosure, for example, you stopped making your payments, have no realistic intention of resuming your payments, and think your servicer has treated you fairly, then you may not need the consult of a foreclosure attorney. Similarly, if you can’t afford your mortgage payments and don’t want to keep your home anyway, it might be a waste of time and money to fight or try to stall the foreclosure. In this type of situation, you don’t want to hire a foreclosure attorney and just throw your money away. Rather, it’d be a better idea that you can put that money towards finding somewhere else to live. If the situations above aren’t applicable to you and you want to keep your home, then you’ll definitely want to consult an experienced foreclosure attorney. For example, if you have a valid defense or you need help with the modification process because the servicer isn’t being responsive or is dual tracking, you’ll want to consider hiring or at least consulting with a foreclosure lawyer. If you want to keep your home and believe you have a defense to the foreclosure, you will most likely need an experienced and skilled foreclosure attorney to try and help you. This attorney will have to raise the defense in court, by filing counterclaims and asserting affirmative defenses in the foreclosure lawsuit. Each foreclosure case is different, brings a unique set of facts, and has complicated nuances that can ultimately determine if you lose or succeed. Since foreclosure is so fact specific, it’s very unlikely that a homeowner would be able to represent themselves and articulate the proper arguments against the foreclosure without an attorney. Your loan servicer made a significant error with your account. Loan servicers, which are the companies that manage loan accounts, sometimes make significant errors when it comes to managing homeowners’ accounts. This may include misapplying funds, failing to credit payments to the account, or charging unreasonable and non allowable fees. An experienced foreclosure attorney who is familiar with reviewing servicer payment histories, which is often difficult to interpret, can help you figure out if the servicer made such a serious error with your account that amounts to a foreclosure defense. The foreclosing party has no evidence to indicate that it owns your loan. If the foreclosing party can’t prove it owns your loan, then it doesn’t have legal standing, the legal right, to foreclose. If, for example, your mortgage loan was bundled and securitized, determining if the foreclosing party actually owns the loan can be a difficult determination. However, an experienced attorney can help you figure out if you have a defense based on the fact that the foreclosing party can’t prove that it owns your loan through what is commonly referred to as the securitization process. The foreclosing party didn’t adhere to proper foreclosure procedures. In a foreclosure, the foreclosing party must strictly follow state-specific procedures, with few exceptions. A knowledgeable foreclosure attorney familiar with New York’s specific foreclosure requirements can advise you if a procedural mistake is significant enough to warrant a dismissal of the case. If you have a military background, you may be in luck and should use that to your advantage. Active duty military service members have some special protections against foreclosure and have certain rights under the Servicemembers Civil Relief Act (SCRA). Among other things, if you took out your mortgage before going on active duty, the servicer cannot foreclose against you unless it is granted a court order or a waiver from you. The SCRA is extensive and complicated. If you’re on active duty and facing foreclosure, an experienced foreclosure attorney can consult with you about all of your rights under the SCRA and help ensure that the servicer complies with this law. An experienced foreclosure attorney can help you with the loan modification process if the bank is stalling or “dual tracking” your loan. This mean that the bank is pursuing a foreclosure and a loan modification at the same time, potentially in violation of federal law. Due to the fact that it is very difficult to get your home back after a bank completes a foreclosure, you’ll definitely want to address this type of legal violation before the sale. An experienced foreclosure attorney in your corner gives you a better chance of getting results before the sale takes place. 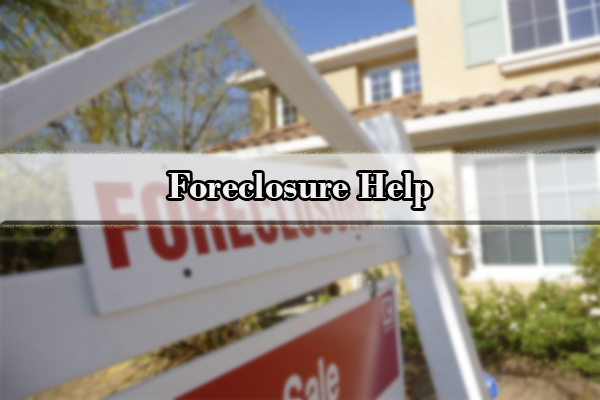 One, before contacting a foreclosure lawyer, contact a HUD-certified housing counselor. A HUD-certified counselor will help you get organized and won’t charge for their time. Also, an experienced, well-connected counselor can cut through red tape and streamline the process of getting a mortgage modification, assuming that’s what you want. Two, gather and organize our evidence. You can do yourself a favor by creating a chronology, preferably no longer than one page, of what happened to you. List the most important facts of the case and ask yourself what happened. Did the lender bait-and-switch you with a predatory loan? Were you unfairly turned down for a mortgage modification? Next, start gathering your documentation. This includes the paperwork you gave the lender at the origination of the loan to the letters you received after you fell behind on payments. You’ll also want to list if there were any unfair practices involved in the creation of that mortgage. Also, you’ll want to organize and put together the history of your correspondence with the bank, and include a log of conversations you had with the mortgage bank too. 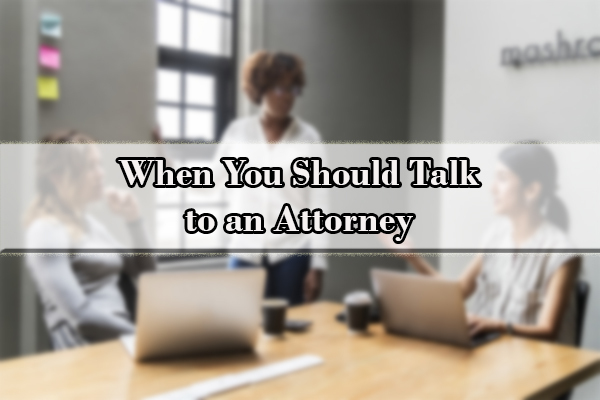 Three, after talking with a HUD-certified counselor and organizing your documents and evidence, it’s time to talk with a foreclosure attorney. Remember that an appointment with an attorney is a business meeting, so act accordingly. You’re not looking for a new friend. You’re not hiring a life coach or a therapist. And remember what your objective(s) are. Do you need help negotiating a loan workout? Do you seek a new loan to settle a claim of predatory lending? Do you simply want to buy time? Do you want to avoid a deficiency judgment? 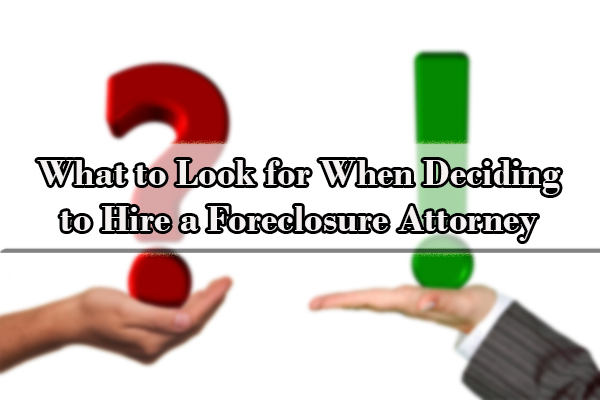 When choosing a lawyer to represent you in a foreclosure, there are red flags to watch for. Be weary of any lawyer who is willing to take your money without knowing what your income is. An experience foreclosure attorney shouldn’t take your money if you don’t have sufficient income to support your house. So beware of that type of song and dance. Beware of lawyers who charge a flat rate to handle a case from start to finish. This type of payment is commonly an indication that the lawyer just wants your money and will not put any real effort or have any solution or genuine plan of action toward trying to help you keep your home. Most importantly, you’ll want to make sure you ask how many cases the lawyer has handled. You’ll want to know how much experience they have in representing homeowners facing a foreclosure in court. You’ll want to ask the lawyer if they have taken any continuing legal education courses about laws and strategies in handling foreclosure matters. Are they up-to-date with New York case law regarding foreclosure issues? Finally, expect the lawyer to come up with a plan of action, whether it’s to negotiate a mortgage modification, file a fraud complaint with the attorney general, delay foreclosure by challenging ownership of the note or some other gambit. Foreclosure is a complex process and if you want to keep your home, you’ll need help to navigate the waters. Ultimately, if you find yourself having difficulty with the application or your mortgage servicer isn’t treating your modification request fairly, you should consider consulting with a qualified, reputable attorney who can help you with the process. 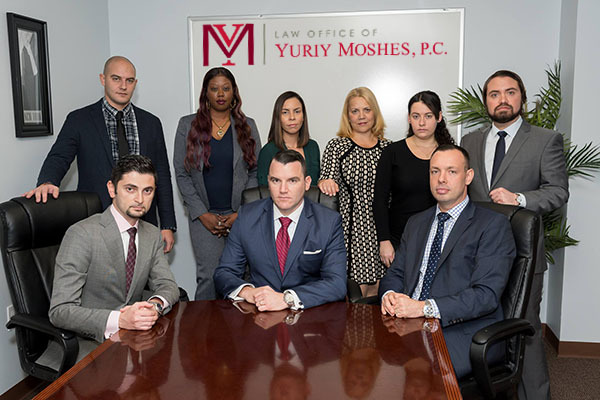 At the Law Office of Yuriy Moshes, we assist clients who face foreclosure or dealing with mortgage complications in the greater New York City area, Manhattan, Brooklyn, Queens, the Bronx, and Staten Island, as well as Northern New Jersey, Long Island, and Upstate New York. Contact Law Office of Yuriy Moshes, P.C. to learn how to avoid foreclosure and keep your home.